I recently attended the Go! 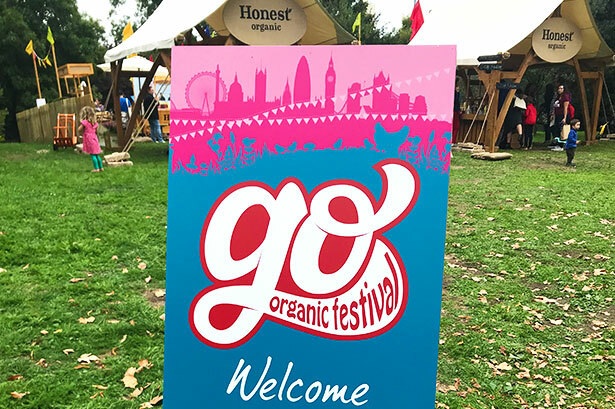 Organic 2018 Festival that took place in the beautiful grounds of Battersea Park on the 8th and 9th of September. This was the first time this festival has taken place, and to be honest, I didn’t quite know what to expect. 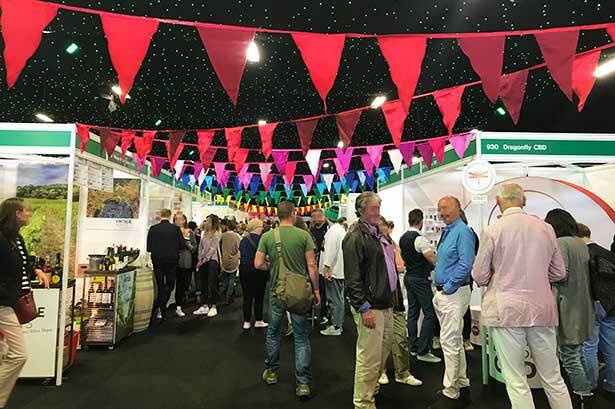 I have been to many food shows where you get to explore the various exhibitor stalls, which in itself is fun, but I haven’t been to a food festival before. Go! 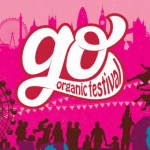 Organic was a hybrid of your traditional food show mixed with a fun festival feel. 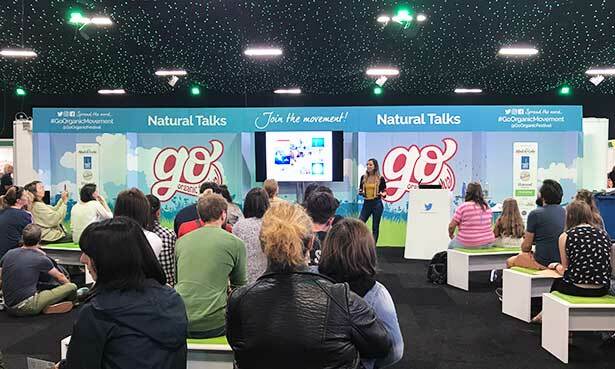 Not only did it have plenty of exhibitors and products to explore, it had live music, entertainment, informative talks/demonstrations, a picnic area, free funfair rides, a mini-farm, and a family eco-art camp. To say I was excited to attend the Go! Organic festival was an understatement. My mission for this event was to learn more about an organic lifestyle as well as look out for organic products that were lower in carbs. I attended on the first day of the festival, Saturday the 8th of September. 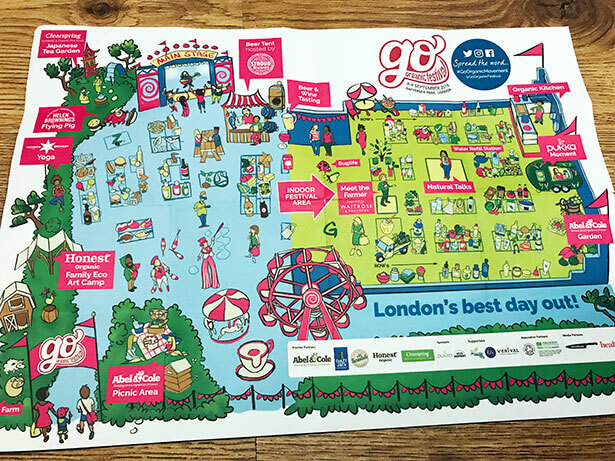 After a pleasant walk from Sloane Square tube station, I made my way to the entrance of the festival in Battersea Park and was greeted by the most friendly, and glittery staff (literally, they were covered in glitter!). Whom looked fabulous might I add. I was given a wristband and continued down the path into the festival. Immediately on my left-hand side I could see an adorable mini farm which was surrounded by delighted children and adults. On my right-hand side, there was an Abel & Cole picnic area. Slightly ahead there was an art camp, and again, I could see many children and adults happily crafting. I didn’t quite have the guts to attend the art camp myself, although I was jealous to read that they were making bird feeders and painting rocks! This was just the entrance of the festival! I was instantly hit with positive, vibrant vibes and surrounded by the laughter of families and friends. I took a moment to look around and remember thinking how wonderful it was to be in a place that is celebrating health and a sustainable way of living. It was lovely to see people from all walks of life, attending a festival that is highlighting such an important message. The path opened out into a large area that was full of food stands and entertainers. The Dani Diodato Quintet were directly ahead performing on the music stage. I am a big fan of jazz music so seeing them play live was a real treat. I was able to enjoy their music whilst walking around the stalls. However, I did take some time out to stop and watch their show without any distractions, it was amazing. As well as food stands, there was a Japanese Tea Garden, a section for yoga, free funfair rides, and an organic beer tent where you could indulge in some beer and wine tasting. There were plenty of places to buy food and try delicious samples. Being a diet controlled diabetic, I have to be careful with my choices. There weren’t many low carb options, but it would have been easy to request something like a bun-less burger. The indoor festival area had an abundance of exhibitor stands, a seated area for talks, and a kitchen area for live presentations. All presentations and talks were available for anyone to sit down and watch. Many events often charge for access to talks and demonstrations, so I thought it was awesome that this did not cost any extra. This made all areas of the festival feel open and inviting. They even had a water refill station, how thoughtful is that!? Every aspect of this festival had been carefully planned and was executed perfectly. There were some fascinating talks arranged for the day I was there. Sadly, I missed the talk I was most excited about. This was the ‘Introduction to organic gardening’ by Chris Collins. However, I was present for Natalie Fee’s ‘Less Plastic, More Joy’ talk which was eye-opening and has certainly made me mindful of my use of plastic. Further down from the Natural Talks area, was the Organic Kitchen where various chefs were scheduled to do live demonstrations. A few examples included ‘Celebrating The Humble Carrot’ by Rosie Birkett, ‘Family Friendly Food’ by Christine Bailey, and ‘Quick and easy Indian street food’ by Chetna Makan which I had the pleasure of watching. A big part of my day included walking around exploring the exhibitors. There was a mixture of organic food/kitchen products, health care products, and even bedding. I loved walking around the stalls. 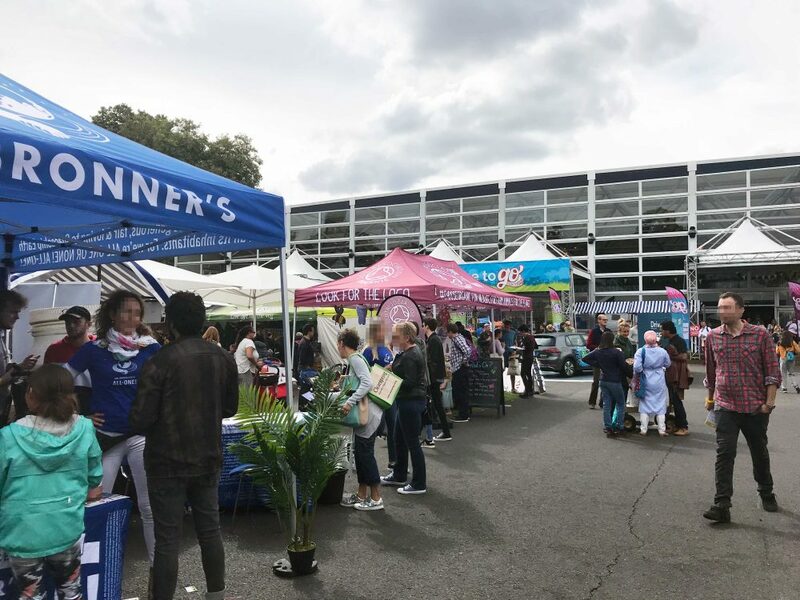 Personally, I had two goals I wanted to achieve at this festival; one was to learn more about an organic lifestyle, and the other was to find low carb organic products. Apart from the delicious organic vegetables, there were two brands that stood out to me. 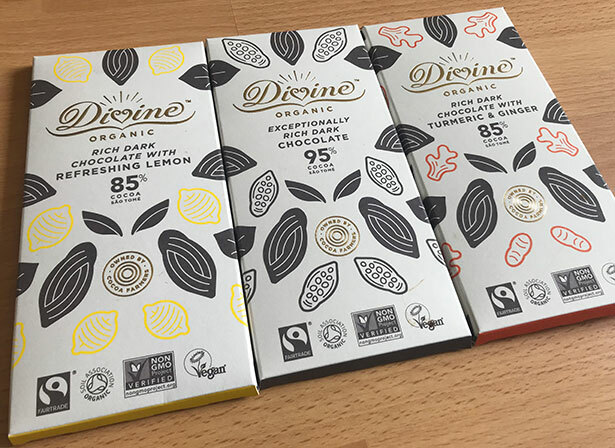 The first brand is called Divine Organic which offers delicious rich dark chocolate at 85% and over. This makes it much lower in carbs and more suitable for diabetics. They offered five different flavours. One was a plain 95% dark chocolate. The other four flavours were lemon, turmeric & ginger, blueberry & popped quinoa, and a plain dark chocolate, all of which were 85% cocoa. I sampled all flavours and purchased the lemon, turmeric & ginger and the plain 95% one. I was pleasantly surprised that I could tolerate the 95% plain dark chocolate. Previously when I have tried 90% dark chocolate from other brands, I have barely been able to handle a bite. I thought Divine’s 95% bar would be fantastic in cooking, it brings the carbs right down and isn’t too bitter. What I liked most about the other two flavours I purchased was how the lemon and the turmeric & ginger counteracted the slightly bitter taste of 85% dark chocolate. They added a level of sweetness and a beautiful kick to the taste. The other brand, which had to be my favourite discovery of the day, is called Cru8. Cru8 sells plant-based gluten, dairy, and refined-sugar free products, which to my delight include many low carb and high fibre foods. They had a stall full of raw products. Deliciously flavoured crackers, paleo bread, macaroons, cookies, and granola bars. When I first saw their products, I thought they would be too high in carbs for me. However, I was pleased to discover that their crackers were just 3g of total carbs and 2g of fibre per cracker, making the net carbs just 1g per cracker. They had samples in front of their products to taste and I began trying the different flavours. They were all flavoursome and delicious, I bought nearly every flavour of their crackers. I was worried about trying their macaroons but I am currently looking on their website and I can see the almond flavour is just 6g of carbs, 2g of fibre and 4g of net carbs per macaroon. They also offer cookies and granola bars which are reasonable in their carb content. I nearly left their stand without trying their paleo bread. Their Original Paleo Bread is just 3g of total carbs, 2g of fibre and 1g of net carbs per slice. They have other flavours such as kale, fig & apple and banana & cacao. Luckily, the bread section of their stand caught my eye and I was drawn back to the stall to get some. I got a brief chance to meet Alexi, the founder of Cru8, and since then I have read their background story. 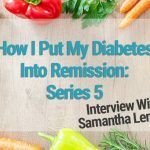 I was impressed to discover Alexi’s journey to transform her health and her recovery from pre-diabetes and depression thanks to a plant-based raw, gluten, dairy, and refined sugar-free diet. The background behind Cru8 made the connection I have with these products even stronger. I’m gutted I didn’t purchase more from them however, I am happy to discover they have an online store as well as a Deli located in the Chelsea Farmers Market. I shall visit their Deli very soon as I really enjoyed all of their products. I think it must be quite obvious from this review, just how much I enjoyed the festival. There was truly something for everyone there. I could have happily attended both days and spent many more hours there each day. I will definitely attend next years event, and I am excited to see what next year will bring. I highly recommend going and enjoying a fun and informative day with your family and friends. I would like to congratulate the Go! Organic team for setting up such a tremendous weekend.